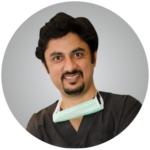 Dr Mayank Singh is a board certified & experienced Plastic & Cosmetic Surgeon based in New Delhi. He is recognized as an expert in Hair transplant, Body contouring, Breast Aesthetic surgery & Facial aesthetics, LASER, Botox, Fillers, Reconstructive microsurgery, congenital anomalies correction and facial trauma. He graduated from Gujarat University where he earned his Bachelor of Medicine and Bachelor of Surgery (M.B.B.S), Master of Surgery(M.S. ), and Magister Chirurgiae (M.Ch.) in Plastic Surgery and Burns as a gold medalist. He obtained his certification in basic microsurgical skills at Ganga Hospital Coimbatore He has done a Fellowship in Aesthetic surgery & Cosmetic Laser Surgery, from Mumbai. and Advanced Fellowship in Cosmetic Surgery & Laser under Dr Ruth Graf ( Brazil ) and Dr Sherrell J. Aston ( New York, USA ). He also got trained in hair transplant under one of the pioneers in the field Dr Michael Beehner ( New York , USA ). He headed a hair transplant centre as a consultant at Mumbai and has successfully performed about 2000+ hair transplants on patients from India and abroad. Currently he is heading Radiance Cosmedic Centre, Janakpuri as a Consultant Plastic, Cosmetic, Hair transplant & Laser Surgeon, B perfect clinic, Panchsheel enclave and Rockland hospital, Dwarka. He visits ESI Medical College and research centre as Plastic and reconstructive surgeon at and various other cosmetic surgery clinics in New Delhi. Dr Mayank has got numerous presentations in State &National conferences and has published various papers in Regional, National & International Journals. He regularly participates in Conferences & CME to update his knowledge and surgical skills. He is a certified member of Association of Plastic Surgeons of India, Indian Association of Aesthetic Plastic Surgery and Indian Association of Hair Restoration Surgeons. He has a warm and genuine personal style and is keenly interested in providing optimal care for his patients. He listens to understand each individuals’ needs and desires and encourages good communication. He believes that surgical outcomes rely on patients having realistic expectations and is honest with patients regarding what can be achieved. He provides a comprehensive treatment programme which involves complimenting surgical and nonsurgical cosmetic treatments. Each year millions of people undergo cosmetic procedures to enhance a particular feature or reduce visible signs of aging. They choose to undergo cosmetic surgery to either give themselves a psychological boost and added confidence in social or work situations or simply to help them look as young as they feel. If you recognize a specific area in which your appearance could be improved and you have a strong personal desire to make a change, then you may be an ideal candidate for cosmetic plastic surgery but having realistic expectations about cosmetic surgery increases the likelihood that you will be all the happier and satisfied with the results.